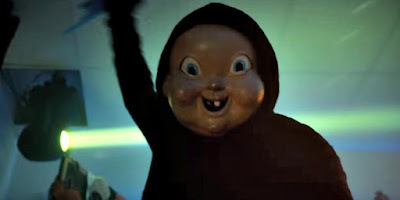 On the one hand, it might come as a little bit of a surprise that the Groundhog Day-esque slasher flick Happy Death Day bested all of the big budget flicks with an impressive $26.5M. On the other hand, this is Blumhouse, and they make this look routine. The wildly successful genre studio has scored again, just as they did earlier this year with Split and Get Out. Believe it or not, that matters. Horror audiences are a savvy bunch, and they know Blumhouse has meant quality scares for years, which is why you see such consistant brand loyalty. I would argue no other studio has it on that level except for maybe Marvel. Basically this means I need to get out and see this thing. >sigh< Blade Runner 2049 now has $60M domestically, which isn't great at all for the $150M-budgeted sequel to Ridley Scott's sci-fi classic. But worldwide it has $158M, which reinforces the point made last week that it would have been a success if they could have kept the budget respectably low. This was never going to be a $500M-grosser like Star Wars, so it shouldn't have been treated as such. The good news is that most consider it to be as good if not better than the original, meaning it will sell for decades on home release. Jackie Chan's return to American action flicks with The Foreigner busted its way to $12.8M, which may not sound great, but it's comparable to John Wick just a couple of years ago. Why does that matter? Well, the film only cost $35M, and Chan is still one of the biggerst stars in the world. Whatever it makes here was always going to pale to the international numbers, which are already at $88M for a $101M total overall.